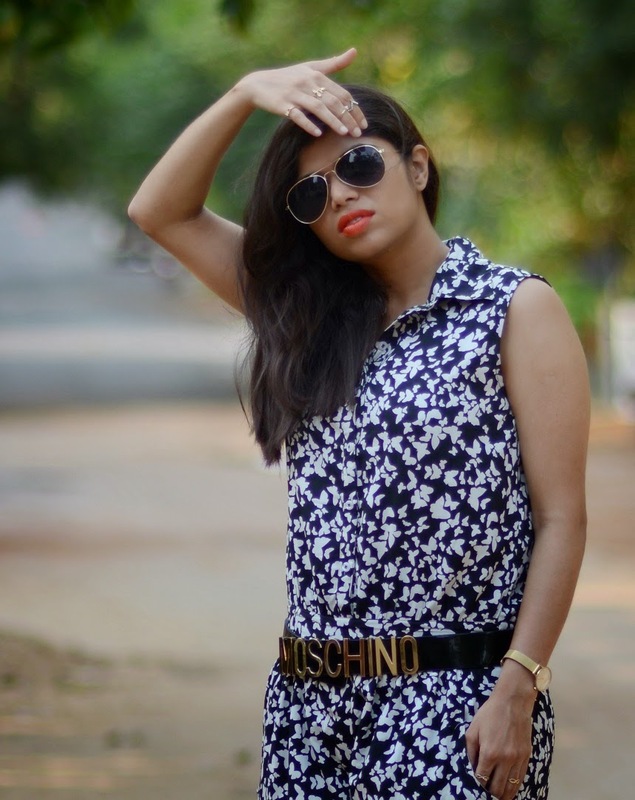 Feels so good to do an outfit post after what seems an eternity! 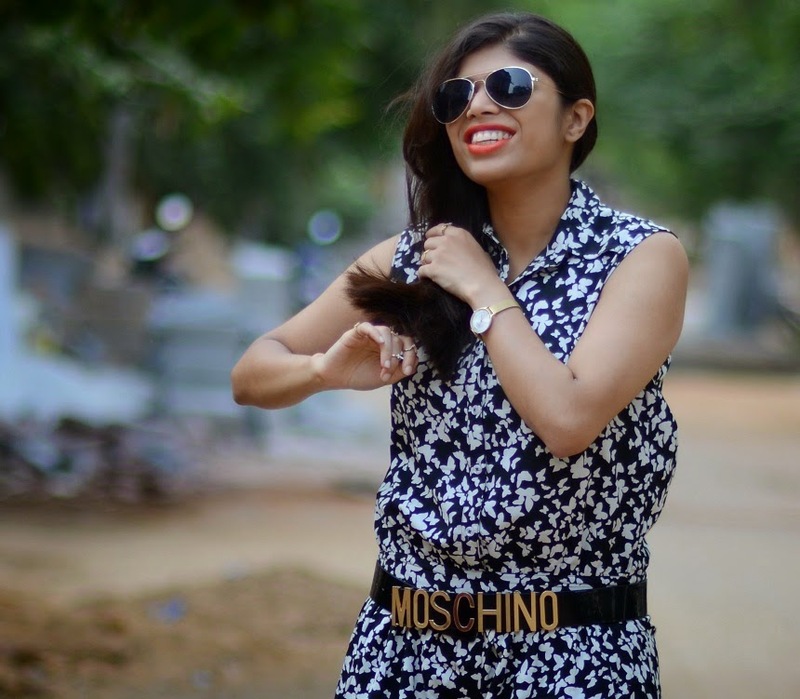 Last couple of months, my work and other commitments have been so hectic that I just could not make time to do an outfit post. After a lot of contemplating, I finally invested in a DSLR! 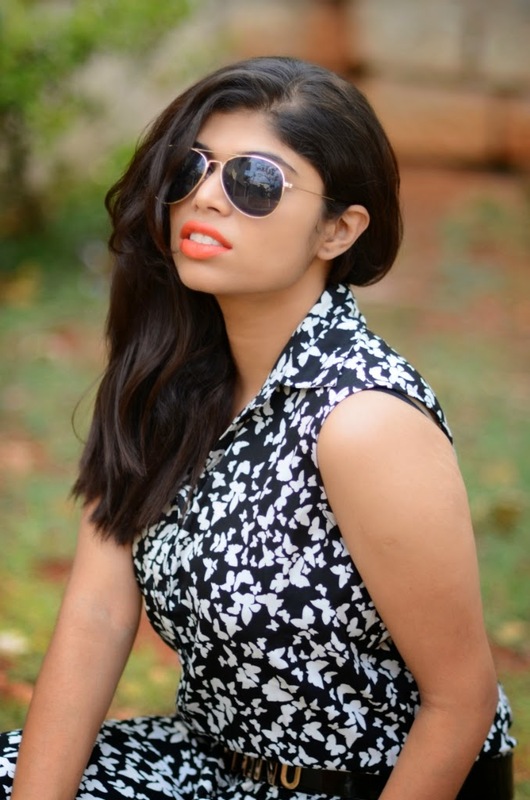 I have officially roped my awesome baby sister Prajwala to do my blog photography. Sundays are the days when I feel extremely lazy to get up. Thinking about getting dressed is a herculean task. On such days, jumpsuits can be great supplement to obtain minimalist chic look. Though jumpsuits are extremely comfortable, but wearing them for an entire day can be a challenging task (esp going to restroom!). Every time I wear jumpsuits I tend to stay away from fluids! (he he... what all women do in the name of fashion). There is something about causal, minimalist chic and messy hair. I really don't have to do much to obtain the messy hair look. I am blessed with messy, frizzy hair. The print on the jumpsuit is quite overwhelming. 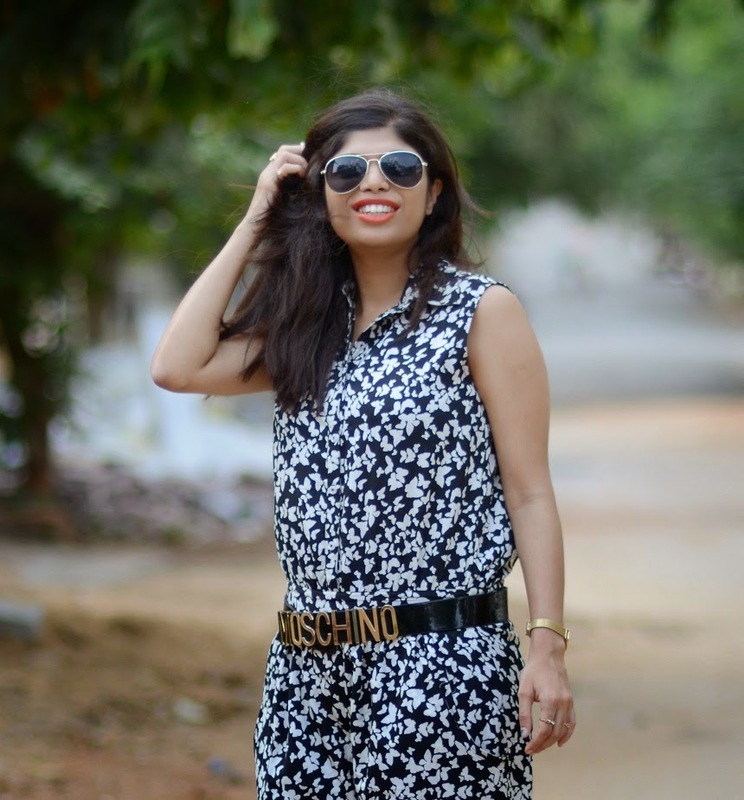 So I styled my butterfly print Myntra jumpsuit with simple belt, high heels and aviator sunglasses. I added a bit of color with my orange lipstick and stuck to minimal accessories. 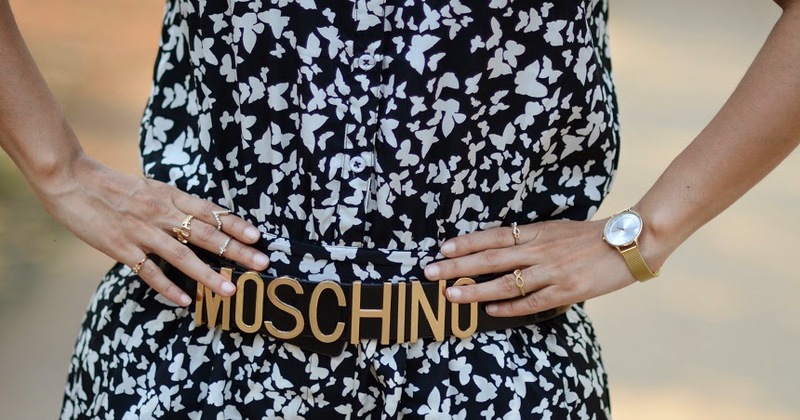 Currently, I am too fascinated by Rose jewellery midi rings and Skagen gold watch. What do you think of this causal outfit? Do let me know how you would style jumpsuits. Looking forward to all the feedback and style ideas. FASHION TIP: If you have pear shaped body then try to find jumpsuits which sits below your waist line. 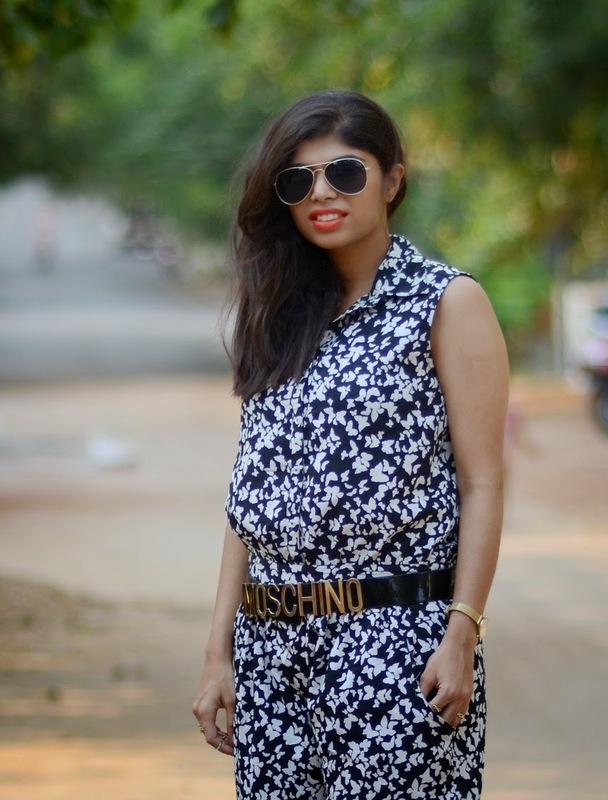 Low waisted jumpsuits elongates your upper body and also is quite flattering to pear shape body type. Liked ur post..so casual and chic ..